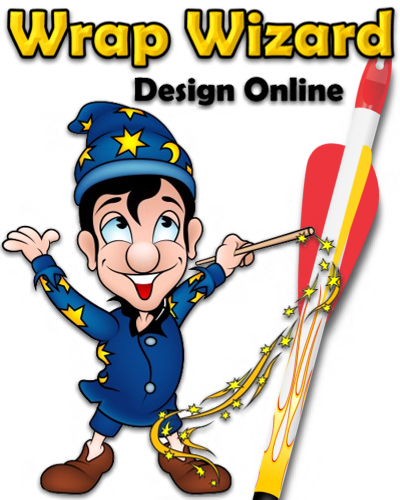 Now it's easy to design your own arrow wraps online with our design tool. We have some unique art and backgrounds just for Arrow wraps. If you have a completed design you did on your own computer, you can upload it and we'll print it. You can save your design for re-ordering. Just click the grey box below to start your designing! 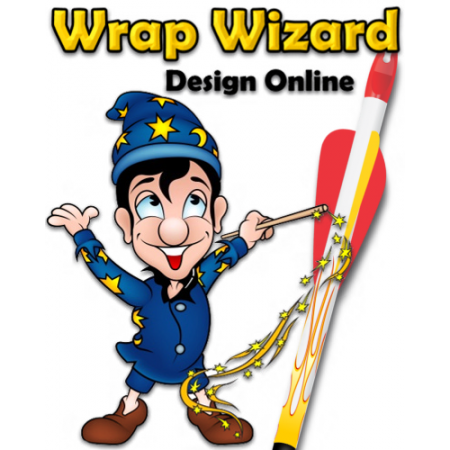 Custom design your own arrow wraps online using our live designer tool or upload your completed design files. Our 1"x 7" wraps are our most popular size. Fits most carbon arrows. Piricng per. dozen + 2 extra wraps. You get 14 Arrow wraps. Our Arrow wraps are printed on high quality vinyl material with the newest digital printing and ink techknowledgey. Quick and easy to install.